A fall during a cross-country event in Spain has claimed the life of Portuguese eventing rider Francisco Seabra, who represented his country at the World Equestrian Games last year. The accident, at the CIC2* Rancho Alegra Eventing Tour de Utrera in Seville yesterday, February 14, occurred when the 30-year old and his gelding, Aferzysta, fell at the final element of fence 10, a water combination, on the Pierre Michelet designed course at 12.30. The FEI is conducting a full investigation into the circumstances of the accident. Aferzysta, a 12-year-old Polish-bred horse, was uninjured in the fall. 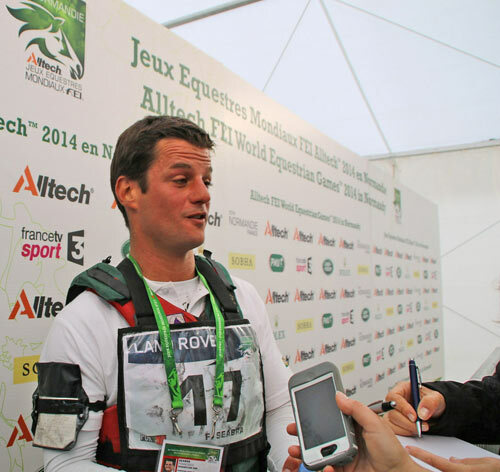 Francisco Seabra’s brother, Durante, is also a leading eventing rider.